In the United States, the National Traffic Safety Board (NTSB) is an independent federal agency responsible for investigating transportation accidents to determine the probable cause, and making recommendations to prevent future accidents. The NTSB had investigated more than 124,000 aviation accidents since it was created in 1967, and maintains a database of those investigations and their findings. NTSB investigators respond not only through the United States, but investigate accidents around the world. Most people have heard the claim that flying is safer than driving, but statistically, this depends on the type of flight being considered. The numbers vary slightly from year to year, but there is one consistent result: commercial flights come out ahead of driving, but the small personal planes known as general aviation (GA) flights score worse. When calculated for the number of fatalities per 100 million miles traveled, driving averages 1.32 fatal accidents and 1.47 fatalities. Commercial airlines average only .05 fatal accidents but 1.57 fatalities, while GA flying averages 7.46 fatal accidents and 13.1 fatalities. When looking at commercial airline accidents with identified causes going back to 1950, the single biggest cause of fatal accidents is pilot error, causing 50% of fatal accidents. Mechanical failure accounts for 22% and weather only 12%. Deliberate acts, including explosives and hijackings, account for 9% of fatal accidents, and other human error, such as errors by air traffic controllers or improper maintenance account for only 6%. Statistics also can be used to pinpoint when most fatal accidents occur. For example, the takeoff and initial climb account for only 2% of the flight time in a 1.5 hour flight, but 20% of fatal accidents occur then, resulting in 30% of fatalities. The final approach and landing are only 4% of the flight time, but see 36% of fatal accidents and 25% of fatalities. Only 8% of fatal accidents and 16% of fatalities occur while the plane is cruising, although the cruise period is 57% of the flight. What Are the Odds of Being Involved in a Fatal Accident? 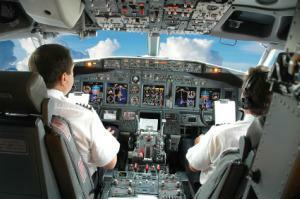 Airline safety statistics can measure the odds of a fatal accident in several ways. According to the U.S. Department of Transportation, an average of 1 in 1.6 million airline passengers dies each year, while 1 in 6800 drivers dies in an auto accident. Another measure shows that in the U.S., one person dies in a plane crash for every four million flights taken, which makes the odds less than the odds of winning the lottery, dying as a result of an accidental gunshot, or suffocating in bed while asleep. Measured differently, the odds of being on a flight which results in one or more fatalities ranges from 1 in 1.7 million on the airlines with the worst accident rates to as low as 1 in 18.56 million on the airlines with the best accident rates. What Are the Odds of Surviving a Plane Crash? The odds of surviving depending on the scenario being examined. Overall, there is roughly a 25% survival rate of passengers on planes carrying more than 10 passengers that are involved in fatal accidents. Looking at 164 accidents that occurred between 1978 and 1995, fewer than 10% of passengers survived in 64% of the accidents, with a greater than 90% survival rate in 22% of the accidents. But when looking at all accidents instead of just fatality accidents, the picture is very different, with a 95% survival rate overall.